An elite rider, Anya Levermann has competed across North America, riding both her own and others’ horses in endurance events — a sport designed to test both a rider’s and horse’s teamwork, knowledge, skill and endurance. On Sept. 23, the 16-year-old will be joining 0ver 150 athletes from 34 countries in Verona, Italy to ride at the Young Rider’s World Endurance Championships. Levermann will be the only rider representing Canada at the event. She’ll be riding a 120 km track on Kataki, a 10-year-old Arabian mare from Bratislava. While Levermann has her own horses that she competes with that live on her family’s property north of 100 Mile House, she also regularly rides other horses at events throughout the United States and Canada. Endurance riding puts horses and riders on tracks of anywhere from 50 to 100 miles in distance. At regular intervals, the horses are examined by veterinarians for both a recoveries check, in terms of heart rate, and a physical check. If the horse doesn’t meet the requirements they are disqualified, or the rider can disqualify themselves if they feel something is off with the horse. 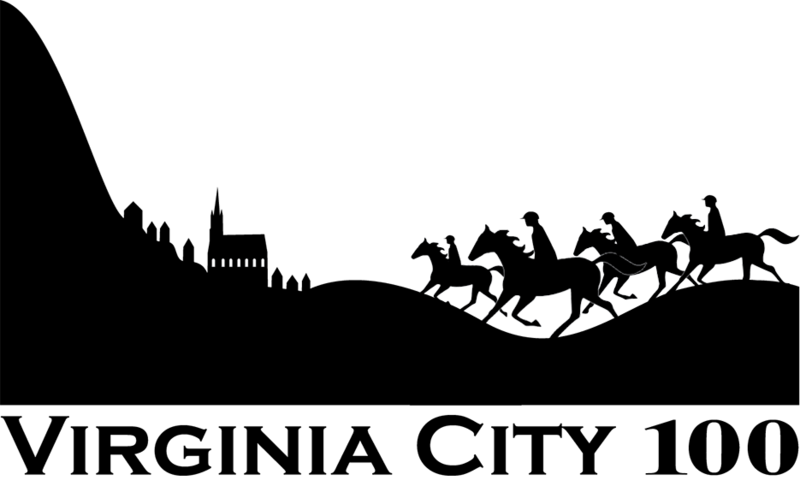 As a result, the events test the rider’s horsemanship — riders must effectively use pacing and the knowledge of their horse against the difficulties of the course. The World Championship requires that riders complete the 120 km track in under nine hours and 50 minutes. The track in Verona is mostly flat, says Levermann, which allows riders to ride faster. She’ll be heading to Italy a week ahead of time to do some touring, as well as to familiarize herself with the horse. Levermann started riding endurance when she was six. As a junior competitor, Levermann earned the national 100 Mile Award. Given to an American or Canadian rider under 16, the award is for the most 100 mile rides completed in a year. Levermann had ridden eight, breaking the previous record of five. To qualify for the world championships, Leverman had to do ten 120 km races without being disqualified. Training for an endurance ride is similar to training for long distance running. Horses have their distances increased in increments, and Levermann herself trains through riding regularly, running daily and playing hockey. During an endurance ride, she says it’s nerve-wracking. Kataki’s owner wants Levermann to set a specific pace during the championship, other than that her goal is to finish and finish strongly. While she has been on rides that have been quite stressful on the body — where the terrain or track are difficult or where she needs to get off and run beside her horse — normally she finishes feeling a very little amount of soreness, she says. Still, she’s just excited for the championships and the love of riding in general. 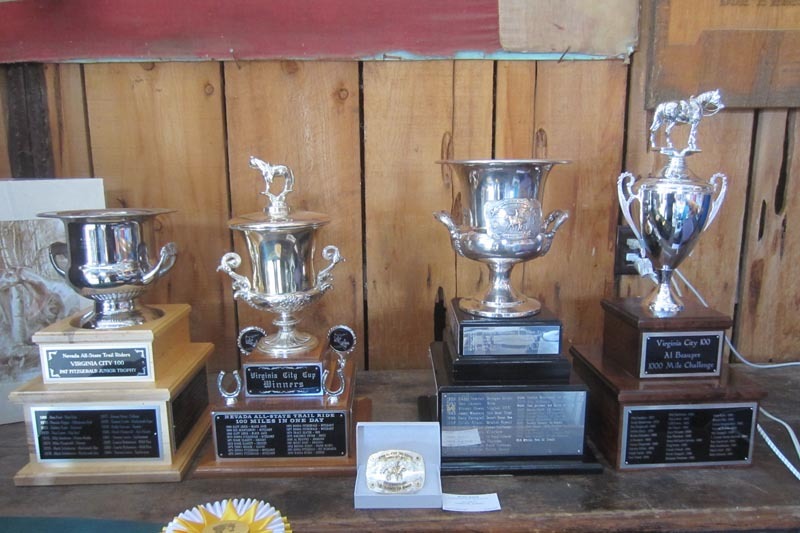 The Early Bird Drawing deadline is September 18 for Distance Horse National Championships! 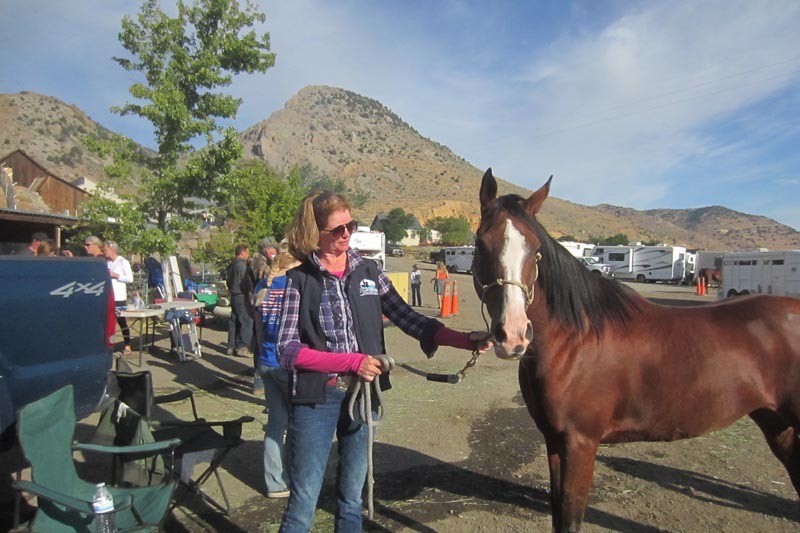 The ride is returning to Steph Teeter's Ranch this year in Oreana, Idaho from Oct. 6 to 8. We are very excited to have the Appaloosa Horse Club again this Fall, along with the Paso Fino Horse Association an additional partner. There will also be a live, local bluegrass/country music band playing on Saturday night, October 7. There are several ride opportunities at the Distance Horse National Championships, including the AHA Competitive Trail Ride (CTR) National Championship starting on October 6; AHA Open CTR; American Endurance Ride Conference (AERC); Open Limited Distance and 50 Mile rides. Rides on October 7 will be the AHA 50 Mile National Championship; Appaloosa National Championship Endurance Ride; Paso Fino National Championship Endurance Ride; AERC Open Limited Distance and 50 Mile rides. Rides on October 8 will be the AHA 100 Mile National Championship; AERC Open Limited Distance; 50 Mile and 100 Mile rides. All Open CTR, 50 Mile, 100 Mile and Open Limited Distance rides are open to ALL BREEDS and are recognized by both AHA and AERC. As a reminder, if you own a Half-Arabian that is also a registered Appaloosa, you may enter both 50 Mile National Championship rides. Make your plans now to attend the 2017 Distance Nationals in beautiful Oreana, Idaho! It's not too early to enter the National & Open Rides; the Early Bird Drawing deadline is September 18. To enter, please click here. Katie Baldino, an equestrian athlete from Marietta, will compete in the FEI World Endurance Championship for Young Riders and Juniors from Sept. 22-24 in Verona, Italy. Forty-two nations were invited to send up to five athlete/horse combinations to compete for a team and an individual title, and the 19-year-old Baldino was one of the individuals selected by the U.S. Equestrian Federation. Endurance riding focuses on long distances and contains different variations of terrain, altitude and weather. The race is primarily conducted on a trail. OAKLAND — From the break of dawn through the daytime’s broiling heat and into the nighttime moonlight, the Western States Trail Ride, better known as the Tevis Cup, widens and narrows over a historic Sierra Nevada trail that challenges both horse and rider up some steep inclines and near-perpendicular descents. 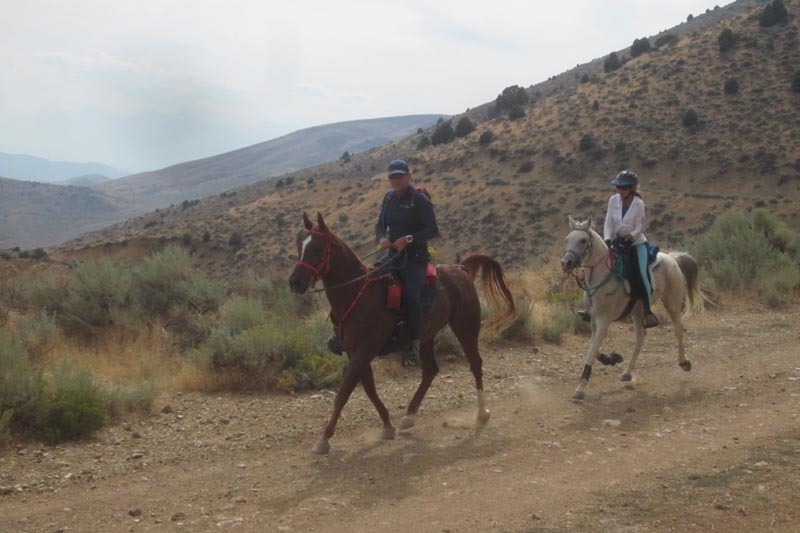 Over hills and through valleys, each horse and its rider must complete this 100-mile one-day trail ride within 24 hours. This year’s Tevis Cup began at 5:15 a.m., on Aug. 5, and ended at 5:15 a.m., on Aug. 6, and saw 92 of the original 174 entries finish the race. Those who endured the full 100 miles included Mollie Quiroz and Juliana McElroy, members of a junior rider program/team known as the Dream Girls that trains out of the Chabot Equestrian Center in the Oakland hills. Here is the Google Earth File from last year's Virginia City 100 track. Shown are the Vet Checks, Camp, Start, Finish, Trot-Bys, and Jumbo Hay Stop. I've also added water sources - note there will be more troughs than shown here, these are just some of the critical ones, along with "highlights" (Bailey Canyon - chortle), and locations you might want to hop off and hand-walk your horse. The trail may vary slightly from what is shown (I found a few variations from year to year), but very minimally so. Please read this for important information about parking and housekeeping. PARKING NOTICE: As most of you know, the parking at the Ice House (95 Toll Rd, Virginia City, NV) is limited and we have to conserve space as efficiently as possible. If you can trailer pool, that would be very helpful. The Storey County rock and sand piles are as big as ever in base camp. For those arriving at the Ice House Thursday afternoon (camp opens at 2:00 pm) or early Friday morning you will need to park along the back perimeters, so as not to block off any access. Please be aware of this, as we will ask you to move if there is parking behind you and no one can get to it. If you are in the upper parking area at the Ice House, please BACK in (unload your horse first as needed) and park like the spokes of a wheel, with everyone facing out. Park as close to each other as possible. Yes, unfortunately this means that you yourself might become blocked, so plan with your neighbor a route to get your crew vehicles in and out. On the bottom level we will mark off from the entrance road a vehicle lane to access the back near the rock and sand piles. **OVERFLOW PARKING** This year we have access to the Virginia City Rodeo Grounds at 575 H Street (see map attached). This is 1 mile from the Ice House and is better overnight accommodations for your horses. The footing is softer and there is an arena on-site you can use to turn out your horse for a while before/after the ride (take turns). For LARGE rigs, this is the better parking option as space is less limited. There will be hose water and restrooms on site. For anyone camping at the Rodeo Grounds – we will rope off a large CREW AREA at the Ice House. You can bring your crew supplies up and treat the Ice House as an “away” check. Crews can drop off your supplies and then park their vehicles at the paved lot near the Fire House, which is less than a block from camp. It should make for easy access and quick retrieval of any forgotten items which you suddenly realize you need. Horse camping will not be allowed on any adjacent city streets. Volunteer camping and parking will be allowed on the paved area to the right near the Fire House on Toll Road before dropping down into the Ice House or at the Rodeo Grounds (if camping). Extra crew parking will be available here also. The Fire House doors cannot be blocked in case of an emergency. NO HORSES ARE ALLOWED TO CAMP IN THE PAVED LOT. We will have a few individuals available to assist in getting you parked. It might be a good idea for you to stop at the entrance before you drive in and take a look around before driving into camp. Once the Ice House is full, all other rigs will be directed to the Rodeo Grounds for parking. Please be prepared to clean up ALL HAY AND MANURE from your campsite – regardless of where you are camped. A dump trailer will be available at the ride site for your disposal. Please DO NOT TOSS ANY HAY OR MANURE off the side of the hill. This is very important for NASTR to receive the HEFTY cleaning deposit back. If you have laid out shavings or hay for bedding, make sure this is completely cleaned up. Thanks so much for your cooperation. We are excited that you all will be joining us. It is going to be a great event and a lot of fun! Please pass on this notice to anyone you may know that has not yet entered. If you have any questions, please call me at (775) 762-8086 or email at vc100ride@gmail.com. 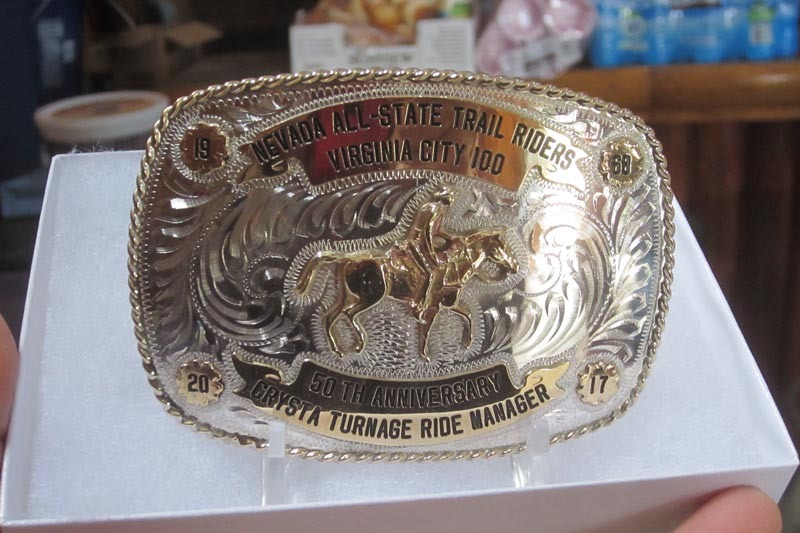 October 5th, 1968 marked the inaugural Virginia City 100 ride, known at its onset as the Nevada All-State Trail Ride, 100 Mile - One Day. Cliff Lewis and Dean Hubbard approached Nick Mansfield who hosted the start and finish of the Ride at his 102 Ranch in Sparks, NV. They wanted to make sure that the trail included all the great features of the area. The ride ended up being way over 100 miles - and there was a also lunar eclipse. 33 riders started, with 11 finishers - and 2 more finishers over the 24 hour limit. Horses had to carry a minimum of 150 lbs. Shannon Yewell Weil and Cliff Lewis finished first with the same time - 19 hours 41 minutes (minus the three hours of vet holds, for a 16:41 riding time). The ride chart shows that the two overtime riders - Shirley Wheeler and Mark Steen - received buckles. The original finishing chart can be found here, along with photos from the ride that year. This Year's Trail: Consists of three loops (51, 25, 24 miles), each returning to base camp in Virginia City. There will be an outlying vet check on the first and last loop, with (2) one hour hold vet checks at base camp. Crews will have easy access to meet riders along the trail. The trail covers hard pack and rocky terrain on historical wagon (now jeep) roads with some sandy single track footing and several mountain climbs. There is also pavement through town and across highways. Riders are responsible for their own safety while crossing paved roads. We do advise the use of pads and/or boots. Elevations range between 5000 and 7800 feet. Each loop will be marked with a different color of ribbon, along with chalk and glow sticks (after dark). Water & hay will be provided on the trail and at the two outlying vet checks. The ride will start in front of the Delta Saloon at 5:00 a.m., Saturday. Allow yourself time to get from camp to the Delta by 5:00 a.m. (approximately 20 minutes). There will be a controlled start out of town. 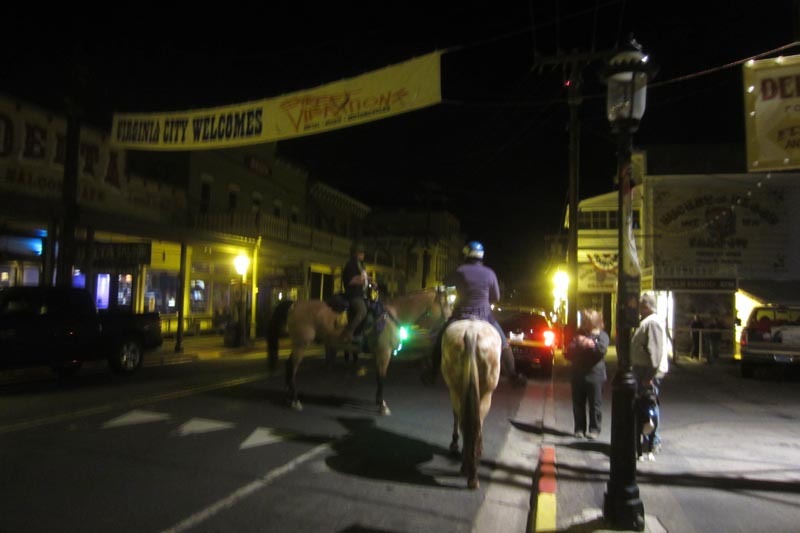 Virginia City 100 is the final ride of the Triple Crown Challenge. Base Camp: will be at the Ice House on Toll Road in Gold Hill. Parking will be on grindings (asphalt), and will be very crowded. There will be limited room for portable corrals. If you have the ability, it would be helpful if you could car pool. The camp site will be open from Thursday evening to Sunday evening. Horse water will be available. 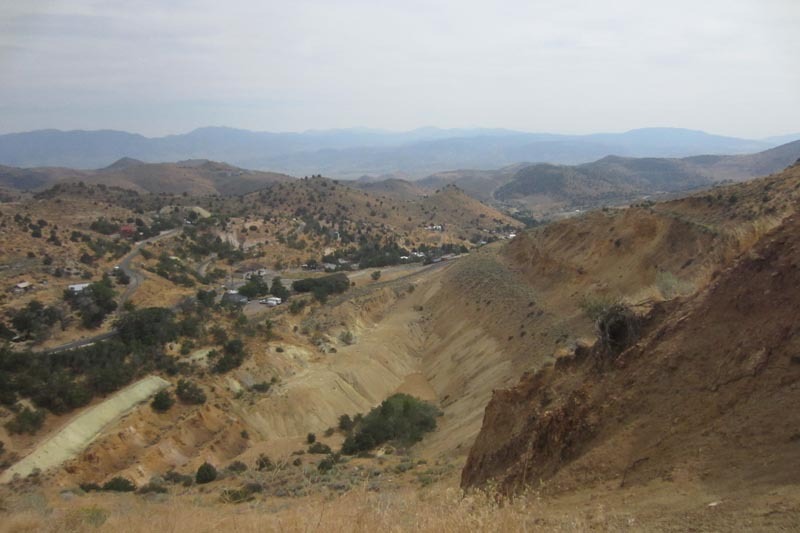 COME PREPARED, the elevation of Virginia City is over 6000 feet and can get cold at night. The comforts of motels and cafes can be found, as well as shopping and sightseeing within walking distance of base camp. Overflow Parking: Due to this year being the 50th Anniversary, we are expecting a larger than normal amount of entries. 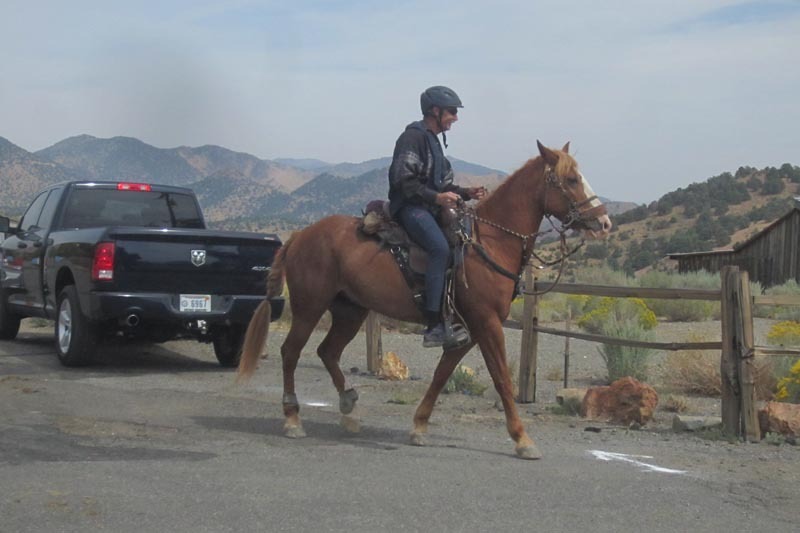 Rather than limit the number of riders who can attend, we have obtained permission to have additional ride parking at the Virginia City Rodeo Arena, located at 575 H Street. The arena is 0.8 miles from the Ice House, about a 15-minute walk. We will set aside a designated crewing area at the Ice House base camp for any riders who are parked at the rodeo arena to drop off any crewing and ride supplies they would like to have accessible. Crew vehicles, sans trailer, can park in the paved county lot for volunteer parking direct next to the Ice House. There will be hay and mash available in base camp. The rodeo arena features tons of flat parking as well as space to turn out your horse before and after the ride. Horses are NOT allowed to camp in the arena or designated pens overnight. There is water and porta potties on site. All ride functions and vetting will be at the Ice House. From Reno take I-580 S/US-395 S. Take the US-395 S exit (Exit 57B) toward Virginia City/Carson City/So. Lake Tahoe. Merge onto US-395 Alt S/S. Virginia St. Turn left on to Geiger Grade/NV-341 to Virginia City. Drive through downtown Virginia City towards Gold Hill. Turn left on Toll Road (before heading down the hill). Watch for ribbons and follow to the Ice House. From Carson City take Hwy. 50 East to NV-341, follow the truck route to the right. When you reach Virginia City turn left at the stop sign (NV-342/C Street), towards Gold Hill. Turn left again on Toll Road (before heading down the hill). Watch for ribbons and follow to the Ice House. Calcutta: Following the pre-ride meeting, we will have a fun filled Calcutta. Payoffs will be given to buyers of the top three in each division, and announced at the awards banquet. BRING LOTS OF DOUGH; EACH AND EVERY RIDER WILL BE AUCTIONED! Your favorite horse and rider team may pay off for you! 500/1,000 Mile Horses: Horses completing the ride five times will receive a 500 mile halter. Also, horses completing the ride ten times will receive a 1,000 mile blanket. AHA Distance Nationals, Owyhee Canyonlands - October 6,7,8 Footing is generally good with trails and dirt 2-track roads. Might be dusty though. Day 1 : CTR/30/50 will be one loop out of camp to Wildhorse Butte with an out-vetcheck. Day 2 : 30/50 will be 2 loops out of basecamp, north into Birds of Prey and south to Hart Creek (there will be more rock on this loop). Day 3: 25/55/100 will be one loop out of camp for 25 and 55, and 60 miles for 100’s. Ride along the base of the mountains, to Sinker Reservoir, then Wildhorse Butte, then home. 100 mile riders will then have 2 twenty mile loops out of basecamp. There will be some rocky road in the morning, mostly good footing remainder of the day. Dinners will be provided with ride entry, and all meals available for purchase beginning Thursday evening. Unfortunately there is no Junior discount (or fee waiver) through AHA. We suggest Juniors do a fundraiser at the venue (sell cookies?) and we will try to encourage staff and riders to help with entry fees. We don’t anticipate problems with fires in our desert region this fall - but stay posted.